Need insulation for house that I am remodeling. Home is over 35 years old, hot and cold in certain rooms of the home. Looking to insulate closed walls in the garage, but if the price is right the total house. Two story, 3130sf. One of the best parts of living in North Carolina are the mild winters. However, it can still get rather cold here and having a home that isn’t warm enough can still be an issue. Logan Home Energy Services specializes in heating system repair, installation and general maintenance. Our highly-trained team of technicians is available 24/7 for emergency HVAC repair services so that you can restore your home's comfort and function as quickly as possible. We hold an A+ rating with the Better Business Bureau for exceptional customer service, and our NATE-certified technicians are fully qualified to handle any heating system problem. 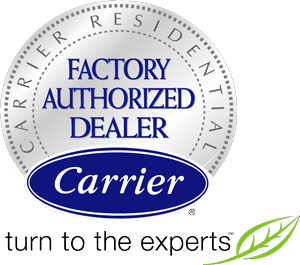 In fact, we are so confident that you will be happy with the results of our award-winning HVAC services that we offer a 100% satisfaction guarantee. Thanks to its subtropical climate, High Point enjoys winters with very little snowfall and warm, humid summers. The downside of warm summers is that homes and businesses can get very hot and uncomfortable without sufficient air conditioning systems - and it can be difficult to enjoy everything the area has to offer if you find that you're always too hot! The friendly, professional technicians at Logan Home Energy Services are proud to provide a full range of air conditioning repair, installation, and maintenance services to ensure the comfort of both residential and commercial customers throughout High Point and the surrounding areas. In business since 1952, Logan Home Energy Services have perfected our cooling systems to optimize both home comfort and energy efficiency. Are you noticing high costs to heat or cool your home? Do you have some rooms that are wildly hot while others are cold? If you feel as though your home's temperature is not as comfortable as it could be, installing new insulation could be your solution. The experts at Logan Home Energy Services are trained to provide you with the best service and solutions customized for your home. I have an existing garage apartment which, apparently, has NO insulation. Can you give me any options for insulating that apartment/garage? Install a mini split heat pump in a sunroom. Need quote on AC unit replacement. System 15 years old .. Goodman 2.5 ton....currently not working .... diagnosed as bad leaking coil. Would like to install small ductless air conditioner in our garage. We have a finished room over the garage that is extremely hot in the summer and very cold in the winter. We also have very high electric bills in the summer ($450 or higher for a 2100 sq ft home). We would like a quote for blown insulation in the attic, backfilling insulation behind drywall in the room over the garage, and possibly a mini-split unit for that room as well. Thanks!